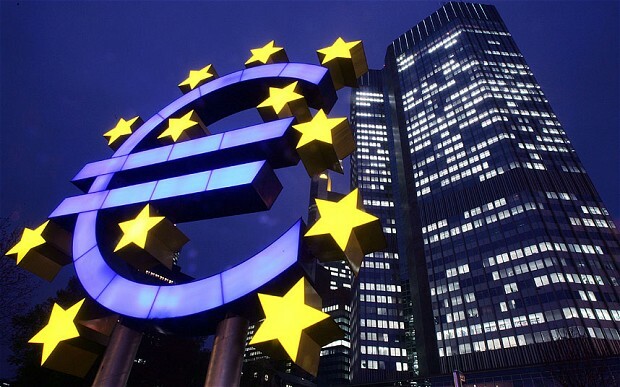 The Organization for Economic Cooperation and Development (OECD) has warned the European Central Bank (ECB) to take proactive measures to prevent the euro-zone debt crisis from worsening, with the potential of moving the U.S. economy to recession. Growth reports from the OECD predicts the EU region in 2012 will only grow by 0.2%. In the report’s introduction, Chief Economist Pier Carlo Padoan wrote: “The euro zone must urgently take stronger measure…The ECB should buy bonds, and set a limit to yields or a floor to bond value, so that markets know there’s a counter party ready to trade at that level,” Padoan said. A report released last month statistically ranks America’s tax system as uncompetitive. America ranked 69th in 2011, down 23 places from 2009. At the top of the list were The Maldives, Qatar, and Hong Kong, respectively. Of the top three, a Hong Kong company is arguable the easiest and least expensive to set up, with the added advantage of its booming location. Hong Kong companies are also eligible for opening corporate bank accounts with the most ease. The Paying Taxes 2012 study, produced by the World Bank, International Finance Corp. and PricewaterhouseCoopers, ranks 183 countries based on the ease of paying business taxes. According to a Wall Street Journal report, “America’s decline in the rankings is attributable to tax-policy stagnation as other countries reform their own revenue codes. Already a notably complex system with the second-highest corporate tax rate in the world after Japan, the U.S. tax code appears ever more cumbersome compared to countries that grow simpler and cheaper by the year. Three of the top five economies in the table—Hong Kong, Singapore and Ireland—offer businesses generally flat profit taxes. Hong Kong and Singapore won high marks in for factors including low-rate corporate taxes and easy-to-use electronic filing systems. For many investors and entrepreneurs, Myanmar is a promising option, with many eager to break trading and investing in this nation. A visit to Myanmar last week by U.S. Secretary of State Hillary Clinton was seen as a sign of softening American and European sanctions, in place since the mid-1990s as a rebuke Myanmar’s human rights violations. Myanmar’s potential is too great for some investors to ignore. One of the last, large frontier markets in Asia, it is rich in oil, gas, timber and gems and has the potential to be a major rice and seafood exporter. Its tourism industry can rely on 900-year-old temple complexes and beaches to rival nearby Thailand, which attracts 15 million or more visitors a year. Myanmar also has low manufacturing wages, and Myanmar’s intellectual class speaks English, with a legal system rooted in British common law. There is much incentive for these Western nations to begin building bridges with Myanmar. There will be extensive competition to capitalize on Myanmar’s location, pricing and resources. Some existing sanctions do not extend to Asian business and companies registered in Hong Kong and Singapore, for example, are free to trade and bring money into these pioneering frontiers.